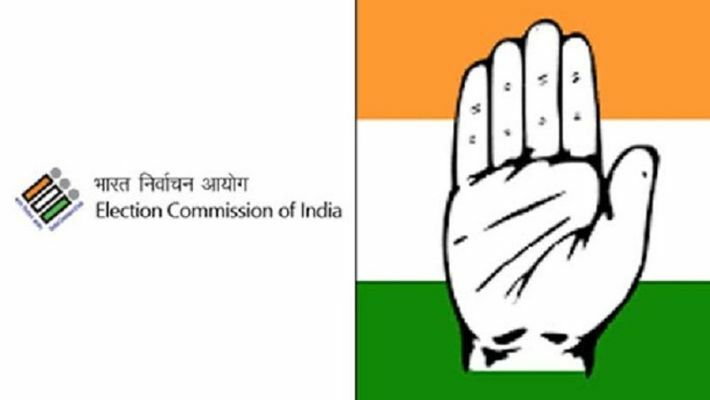 Bengaluru: Karnataka Pradesh Congress Committee (KPCC) has complained to the Election Commission (EC) against BR Balakrishnan, principal chief commissioner of income tax (Karnataka circle) and sought his transfer alleging that he had carried out selective raids in the state. The Congress accused the I-T chief Balakrishnan of conducting raids only on the members of the Congress and JD(S). The two parties are in an alliance to fight the Lok Sabha election 2019 in Karnataka. They are also running a coalition government, headed by chief minister HD Kumaraswamy of the JD(S). 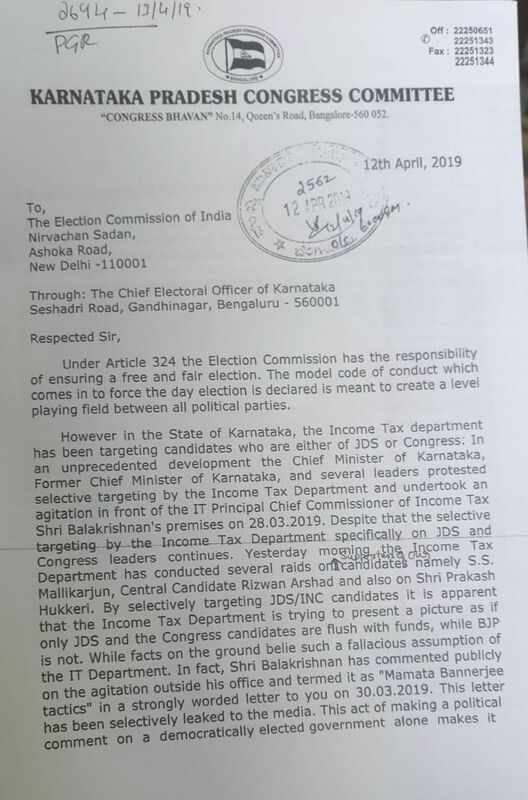 In a letter, the Congress stated that the matter was urgent as Karnataka will go to polls in the first phase on April 18 and his presence will not ensure free and fair election. The complaint by the Congress said, in a span of one month, Mandya district minister CS Puttaraju and his family members were raided, Mandya Congress chief MS Atmananda's residence was also raided. Also raids were conducted on contractors from Hassan who were close to the JD(S) chief HD Deve Gowda and his family, it added. 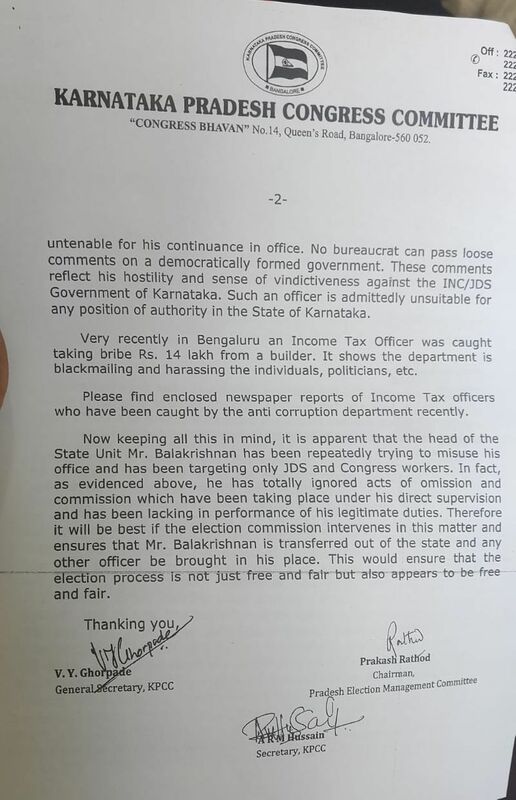 The letter also mentioned about an income tax officer caught while receiving a bribe of Rs 14 lakh from a builder. It stated, "Very recently in Bengaluru an Income Tax Officer was caught taking bribe of Rs 14 lakh from a builder. It shows the department is blackmailing and harassing the individuals, politicians etc. Keeping this in mind it is apparent that head of the State Unit Mr Balakrishnan has been repeatedly trying to misuse his office." The letter was sent by Prakash Rathod, Karnataka Pradesh Election Management Committee chairman. He alleged that Balakrishnan has “ignored acts of omission and commission and has been lacking in performance of his duties”. So, to conduct free and fair elections in Karnataka, it is important that Balakrishnan is transferred and any other officer is brought in his place.